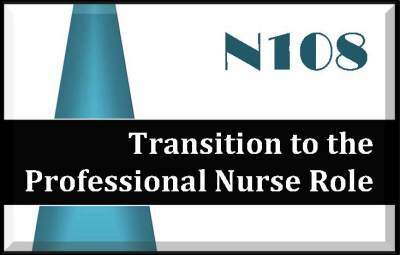 The Transition To the professional nurse role exam focuses on transitioning to the role of the professional nurse including legal aspects, history, and RN function/duties. The exam is 130 multiple choice questions and you will have 3 hours to complete the exam - there are many select all that apply questions (SATA). Testing is at a PearsonVue testing center. The study guide portion of the document is 113 pages and loosely follows the content guide outline/syllabus and covers all areas noted.